Google announced this week Google Play Newsstand, an app for reading non-book content (magazines, newspapers, blogs and more) on an Android phone or tablet. 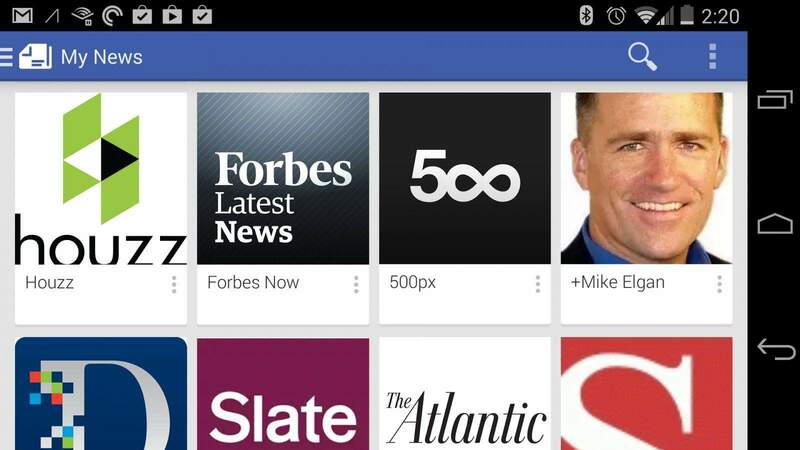 Google Play Newsstand is an alternative to Flipboard. But Google gives us no strong reason to choose that alternative. Here are the three things Google needs to change in order to turn Google Play Newsstand from also-ran to awesome sauce. Google appears to work hard to make sure the iOS platform has Google apps with as much of features and functionality as Apple and their internal resources allow. But for at least the rest of the year, only Android devices will have a Google Play Newsstand app (the iOS version will reportedly emerge some time next year!). The app combines the features of, and replaces, Google Play Magazines and Google Currents. Google Play Newsstand uses Google’s “cards” interface, like Google Now and Google+ do. It’s a really nicely designed app (even though the icon is horrible looking and unclear). One unique attribute is that when looking at the feed of a specific publication, the site’s logo is place in the center of an animated graphic made from pictures in that feed. Google Play Newsstand currently has 1,900 full-length publications and many prominent blogs. Google Play Newsstand has two things Flipboard doesn’t have. The first is that it offers for-pay, behind-the-paywall access to paid subscription content. Second, Google claims the app “learns” your content preferences, increasingly offering more relevant content to try over time. This is actually a feature Google should be able to do better than anyone else, given their strong algorithm kung fu. Sadly, Google Play Newsstand is currently available in a limited number of English-speaking countries, including the US, the UK, Australia and even Canada. One of the nice things about Google Play Newsstand is that it gives you free trials and good deals on paid magazine and newspaper content. If you have to pay for content, you might as well pay less. You could probably get an entire year of free articles that normally cost a lot by just using one free trial, then the next. It’s possible to add RSS feeds to Google Play Newsstand. Just paste the URL to an RSS feed into the search window. When the feed comes up in a card, tap the + button to add that feed to your content sources. Many formats for RSS content aren’t supported. And even those that are don’t look as pretty as other content — or as as they do in good mobile app readers like Feedly. There are third-party services that convert the Google+ public posts of a specific user into an RSS feed. The RSS feeds generated by the services I’ve tried don’t work in Google Play Newsstand. However, these can be “laundered” through services like Feedburner (which Google owns). That’s what I do with my own feed for the purposes of publishing a newsletter (currently on hiatus but returning shortly). That same “laundered” Feedburner feed works great in Google Play Newsstand. As it is today, Google Play Newsstand is a nice app that mostly duplicates features that exist elsewhere in apps like Flipboard and others, but lacks some of the important features of those apps (like social and reasonable RSS support). 1. Add Google Reader-like RSS support. Google shouldn’t have killed Reader. The backlash from that closure should have demonstrated to Google that people want an RSS reader from Google. So why not build really good RSS feed reading into Google Play Newsstand? 2. Build Google Play Newsstand into Google+. The early days of Google+ offered news in the form something called Sparks.” Google added Sparks (and called it “Sparks”) because Google wanted to give users content that would “spark” conversations. It was a good idea badly implemented. The content was a subset of Google News, a tightly limited selection of stories with limited user control. If Google brought back the “sparks” idea in the form of Google Play Newsstand content, they would 1) enable users to “spark” conversations; 2) boost the social discovery of newspaper and subscription magazine content and drive more subscriptions, including paid subscriptions; and 3) give users more reason to spend all their time in Google+. 3. Enable the following of Google+ users inside the Google Play Newsstand app. As part of the integration of Google+ and Google Play Newsstand, it should be easy to have specific, user-specified circles show up as “magazines” in Google Play Newsstand. Ironically, this would enable the separation of blog-like Google+ posts from social posts, for those who desire such a separation. Users could read the blog-like posters on their Android tablet along with their newspapers and magazines, while engaging with the social stream circles on the Google+ site. By integrating good RSS support into Google Play Newsstand, then integrating Google Play Newsstand into Google+, Google would offer something totally compelling and unique, rather just another pretty Flipboard alternative.